Daffy Duck: The Marvin Missions is an action video game for the Super NES and Game Boy. The European Game Boy version is known Daffy Duck as while the Japanese Game Boy version is known as Looney Tunes Series: Daffy Duck (ルーニー・テューンズシリーズ ダフィー・ダック? ).The game involves Duck Dodgers in the 24th and a ½ Century, as told in the classic Looney Tunes stories created by Chuck Jones. When he is hit, he will say some of Daffy Duck's more infamous lines from the 1950s like Mother and You're despicable, voiced by voice actor Greg Burson.Daffy was number 14 on TV Guide's list of top 50 best cartoon characters and was featured on one of the issue's four covers as Duck Dodgers with Porky Pig and the Powerpuff Girls (all of which are Time Warner-owned characters). Super Robot Wars (スーパーロボット大戦 Sūpā Robotto Taisen?) is a series of tactical role-playing video games produced by Banpresto, which is now a Japanese division of Namco Bandai. The main feature of the franchise is having a story that crosses over several popular mecha anime, manga and video games, allowing characters and mecha from different titles to team up or battle one another. The first game in the franchise was released for the Nintendo Game Boy on April 20, 1991. 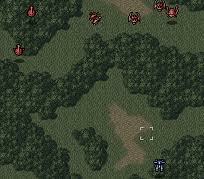 Later spawning numerous games that were released on various consoles and handhelds. Due to the nature of crossover games and licensing involved, only three games have been released outside of Japan, these games only feature Banpresto's own original characters and mecha. The franchise celebrated its 20th anniversary in 2011. Daikaijuu Monogatari II (大貝獣物語II?) is a role-playing video game developed by Birthday and published by Hudson Soft for Super Famicom, in August 1996 in Japan. The game is a sequel of Daikaijū Monogatari. Darius Twin (ダリウスツイン, Dariusu Tsuin?) 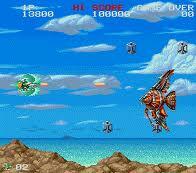 is a horizontal scrolling shooter for the Super Famicom/SNES, released in 1991 and is part of the Darius series. 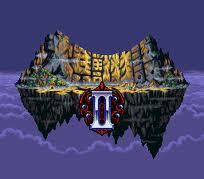 It was re-released on the Wii Virtual Console in Japan on April 13, 2010 and in North America on December 13, 2010. Dark Law: Meaning of Death (ダークロウ ミーニング・オブ・デス?) is a 32-megabit, 1997 Super Famicom release—one of the last in the system's history. An ASCII Corporation production, it is the sequel to Dark Lord. 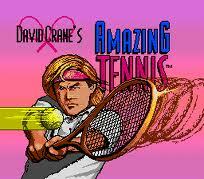 David Crane's Amazing Tennis is a tennis simulation video game developed and published by Absolute Entertainment for the Super Nintendo and Mega Drive consoles in 1992. The game was also made available for the Nintendo Super System. Daze Before Christmas is a video game developed by Norwegian video game development company Funcom and originally released by Sunsoft onto the Sega Mega Drive in 1994 exclusively in Australia. 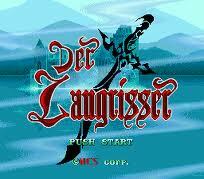 A version was also released for the Super NES both in Europe (only in Germany) and Australia. A North American release was planned however it was canceled. 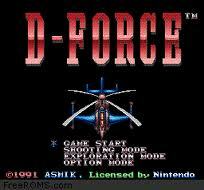 It is one of the last games to be released by Sunsoft's USA division. The game is one of the few Christmas-themed video games to see commercial release. Tuff E Nuff, known in Japan as Dead Dance (デッドダンス? 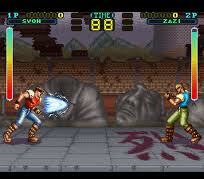 ), is a 1993 fighting game developed and released by Jaleco for the Super Nintendo Entertainment System. Demolition Man is a pair of action video games based on the film of the same name. Acclaim Entertainment published the 16-bit version, which features run and gun gameplay, for the Super NES, Sega Genesis and Sega CD. 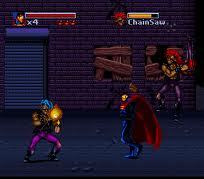 Virgin Interactive released a completely different game for the 3DO that combined several distinct gameplay styles. 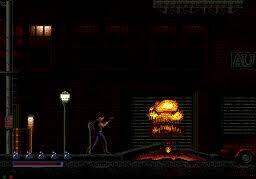 In both games, the player controls John Spartan, the main character from the film, as he attempts to find and defeat his nemesis, Simon Phoenix. 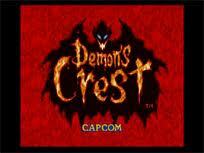 Demon's Crest (Japanese: デモンズブレイゾン 魔界村 紋章編 Hepburn: Demonzu Bureizon Makaimura Monshō-hen?, "Demon's Blazon: Demon World Village Crest Volume"), is a side-scrolling platform video game developed and published by Capcom for the Super Nintendo Entertainment System. It is the third video game starring Firebrand (an enemy character from the Ghosts 'n Goblins series, known as "Red Arremer" in the Japanese version), following Gargoyle's Quest and Gargoyle's Quest II. 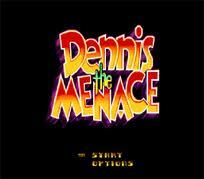 Dennis the Menace (known simply as Dennis in Europe) is a multiplatform video game based on the 1993 movie of the same name. The object in all versions of the game is to defeat a burglar who managed to find Dennis' town via the local railroad connection. Stages include Mr. Wilson's house, the great outdoors, a boiler room, and eventually the big boss battle with the burglar himself. Desert Strike: Return to the Gulf, commonly known as Desert Strike, is a shoot 'em up video game released by Electronic Arts (EA) in February 1992 for Sega's Mega Drive. 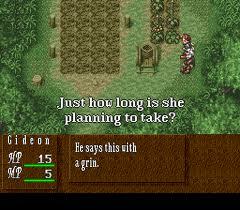 The game was later released on several other formats such as the SNES, including a much upgraded version for the Amiga home computer. 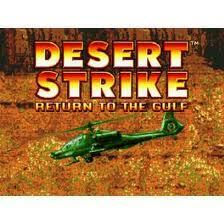 The game was inspired by the Gulf War and depicts a conflict between an insane Middle Eastern dictator, General Kilbaba, and the United States. The player controls a lone Apache helicopter and attempts to destroy enemy weapons and installations, rescue hostages and capture enemy personnel, while managing supplies of fuel and ammunition.The lead designer, Mike Posehn, had no video game experience prior to developing Desert Strike. Inspired by Choplifter, he aimed to create a nonlinear game with smoothly animated vehicles. Posehn, a PhD in Mechanical Engineering, developed a camera system with momentum to mimic realistic helicopter movements. Three-dimensional (3D) modeling was used to generate the vehicle sprites, which were later touched up on the pixel level with color.Desert Strike was a strong commercial success: it was a chart-topping best seller and at the time Electronics Arts' highest ever selling game. The game also received a favourable critical response, with several magazines awarding scores of over 90%. Reviewers praised the game's enjoyability, mix of action and strategy, graphics and sound. There was some controversy regarding the game's subject matter, with commentators criticising it as in poor taste due the proximity of its release to the recently ended Gulf War. Daioh (Great King) is an arcade game developed by Athena Co. Ltd., and released in the US by Sammy in 1993. 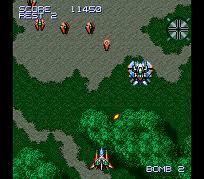 It is a conventional vertical-scrolling shooter, but with uniquely immense enemies and bosses.Rereleased on snes as Dezaemon – Kaite Tsukutte Asoberu.